This elegant white linen gauze blind features a distinctive white cotton band and a harmonious mix of rich knotted lace and Richelieu embroidery with plant patterns. 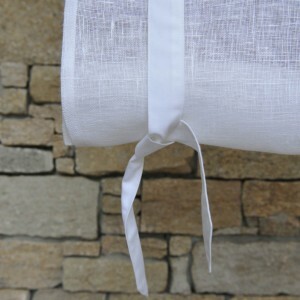 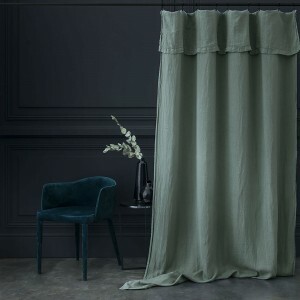 100% linen gauze blind, 100% cotton band. 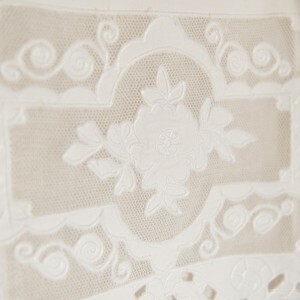 Machine wash on delicate cycle at 30 °C, moderate spin, do not tumble dry. 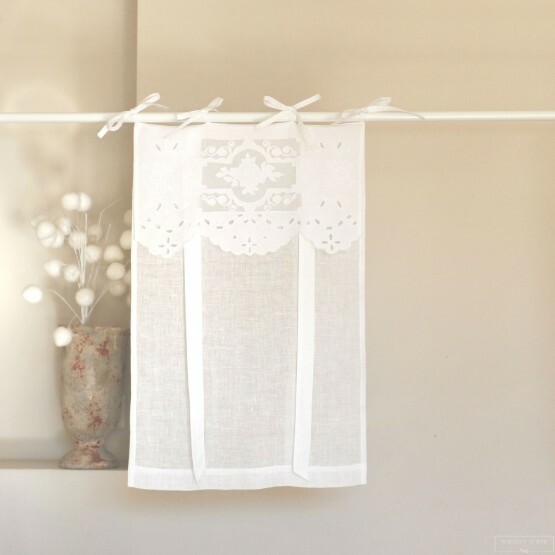 Always use a delicates detergent for washing linen. 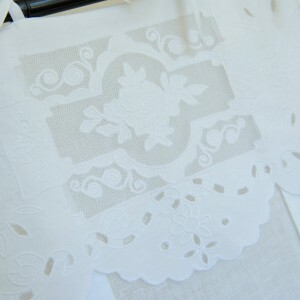 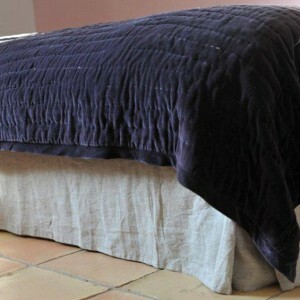 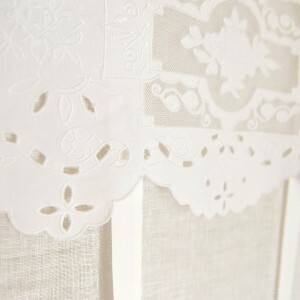 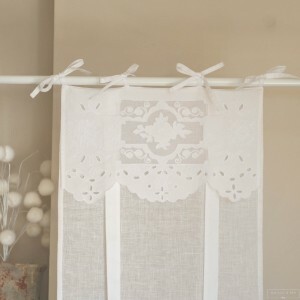 As the Grimaud embroidered net is very delicate, we recommend that you wash the blind in a net.